Those of you who know me are well aware of my long-time love affair with raspberries and baked goods. So much so that my husband gets to share the dubious honour of being co-namesake for one of my absolute favourite recipes (Rizberry Cheesecake recipe plug). So, as I sit here, slowly working my way through a slice of these brownies and binge-watching This Is Us (omg Milo Ventimigliaaaaaa), and well, really trying to stay zen about the upcoming busy period at work… I thought, let me lose myself in this for a bit. 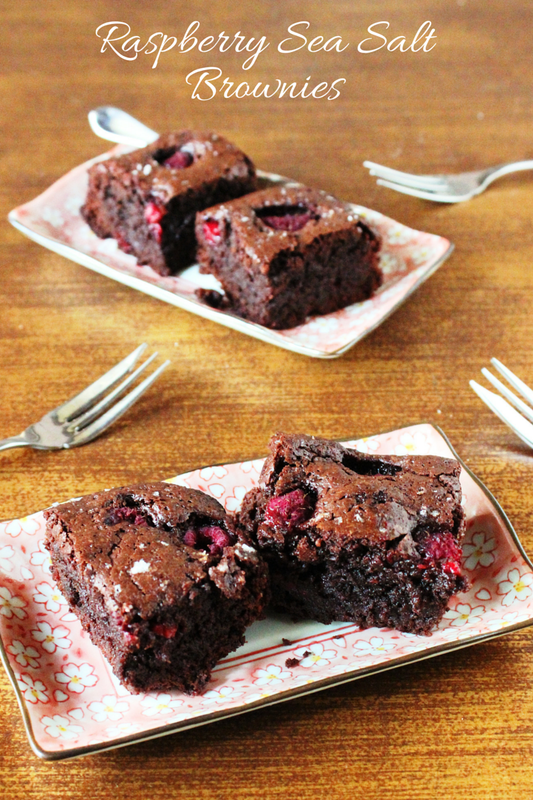 Here you go, a super easy, super rewarding recipe for Raspberry Sea Salt Brownies. Don’t skimp on the sea salt, trust me on this. Fold half of the fresh raspberries into the batter, then pour into the prepared tin and scatter the remaining raspberries on top. Sprinkle the 1/2 tsp sea salt on top and bake for 60 minutes.